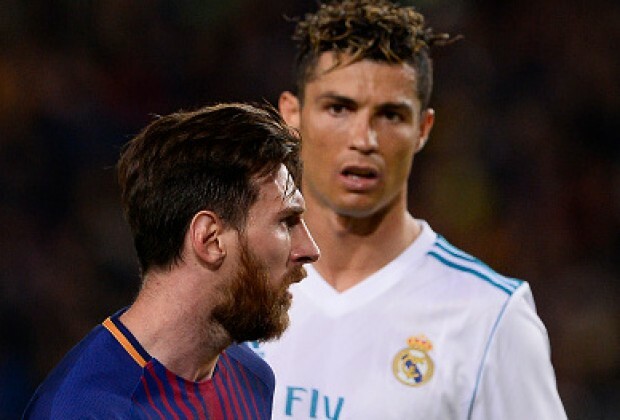 Cristiano Ronaldo has said he doesn’t see Barcelona’s Lionel Messi as a rival despite many people viewing them in that light. He made this statement during his unveiling as a Juventus player after completing a €112m move from Real Madrid. Both players have been considered as the best in the world for the last decade and have been at the heart of the rivalry between Real Madrid and Barcelona since Ronaldo moved to La Liga in 2009. However, the battle between Messi and Ronaldo may no longer have the same intensity after the 33-year-old was officially unveiled as a Juventus player on Monday. The Portuguese is now looking forward to replicating his incredible goalscoring record in Italy and win titles with his fourth different club. When asked about his rivalry with Messi, Ronaldo replied: ‘I do not see other players as rivals, that’s not who I am. ‘It was a good challenge with Messi. ‘All of you liked it and it was interesting. But I never saw it as a rivalry. ‘You always want to give it your all for your team, This is what I did for Sporting, Manchester United and Real Madrid. He has done so for Barcelona.